We are happy to announce that the Star Wars™ Battlefront™ Companion app, featuring the game Base Command, is now available. Download the Companion on the Apple App Store™ and Google Play™ store. The Companion can also be accessed at StarWarsBattlefront.com. 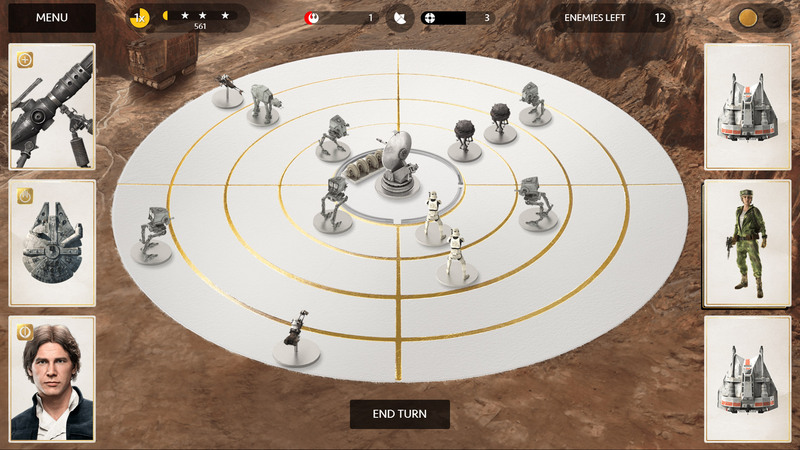 As detailed in a previous post, the Companion app lets you connect with friends, track your Star Wars Battlefront career, and play the card-based game Base Command. 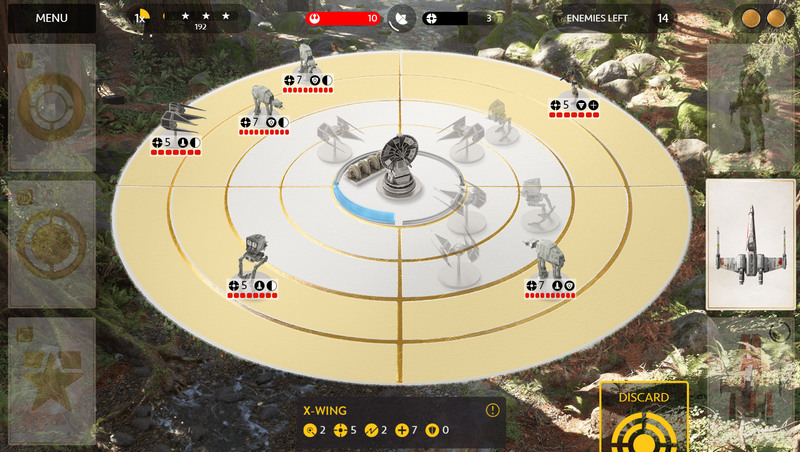 In this post, we’d like to deep-dive into the gameplay of Base Command – and how playing it will earn you in-game Credits for use in Star Wars Battlefront. 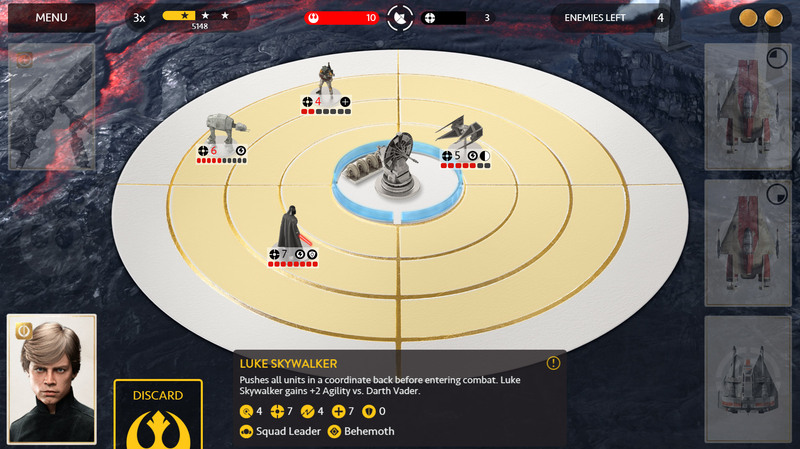 Base Command is a lightweight card-based game that can be played with or without owning Star Wars Battlefront. Your objective is to defend a Rebel base under siege by the Empire. You’ll fight off the Imperial forces by playing Star Cards featuring the iconic vehicles, weapons, and power-ups from Star Wars Battlefront. A mission in Base Command is called a Siege, and not without reason – Imperial forces are advancing on your base, determined to wipe it out. Each game turn in Base Command, the enemy units move closer to your base. By strategically playing your cards you can defeat the invading forces, survive to fight another siege, and collect your Credits payout. Your line of defense in Base Command is two decks of cards. The first is a deck of Unit Cards, consisting of Rebel Soldiers, A-wings, T-47 airspeeders, and X-wings. Simply play a Unit Card on an enemy to engage in combat. Victory or defeat is determined by factors like the firepower, defense, and health values of the combatants. Each unit also has a set number of attacks that it will deliver, and combat is over when both units have made all of their attacks (or until one unit is defeated). The deck of Star Cards are powerful boosts and strikes that can enhance your Unit Cards. One example is the Cycler Rifle card that you can play on a Rebel Soldier to increase its firepower value. Star Cards can also be used for direct attacks; Orbital Strike, for instance, deals massive damage in an entire sector of the board. There's too many of them! If you feel overwhelmed with Imperial troops, use the Orbital Strike Star Card and deal 5 damage to all units in a sector. Each Siege contains a selection of modifiers for enemy units known as Perks. You’ll encounter enemies with varying Perks in every Siege. They grant the Imperial forces special abilities to challenge you even further. The Protected Perk, for example, means that the unit will not take any damage from the first attack against it. This often makes it hard or impossible to defeat the unit in normal combat. But a shot from your trusty Base Cannon removes the Protected Perk, evening out the odds. The Protected Perk makes the unit invulnerable to the first attack that would otherwise deal damage from any source. Overload lets the unit use all of its Attacks in the first round of combat. Perks can have a dramatic impact on how you should approach any given situation. As you progress in Base Command, you will encounter more and more insidious combinations of Perks. For a vicious combination of Perks, let’s take a look at Darth Vader. With both Protected and Overload, he is one of the toughest units in the game. His Protected Perk absorbs the first attack that would normally deal damage to him; with Overload, Vader will also unleash all of his attacks in the first round of combat – an effect that will defeat most Rebel units before they have a chance to deal any damage to him. 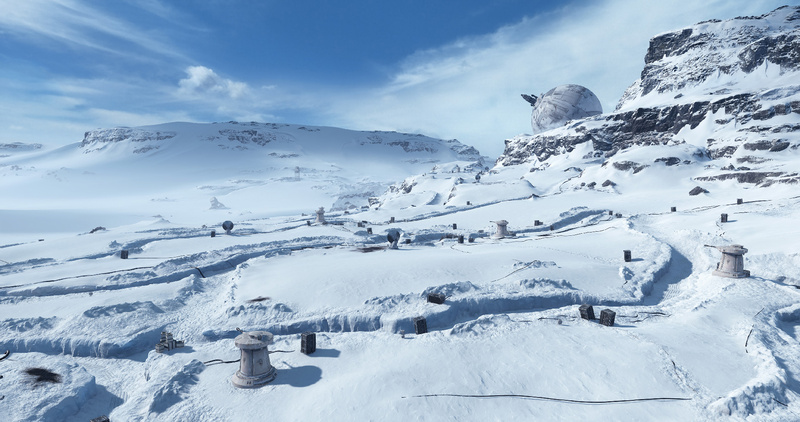 Each Star Card earned in Star Wars Battlefront is also available for use in Base Command. This way, the more you progress in Star Wars Battlefront, the more powerful and versatile your Base Command deck becomes. Base Command will contain 50 Sieges of increasing difficulty, each presenting a new challenge by mixing up enemy units and modifiers. Between November 10 and November 17, the first campaign of 8 Sieges will be available. From November 17, all 50 Sieges in Base Command will be live. Can you survive them all? We hope you have a blast with the Star Wars Battlefront Companion. 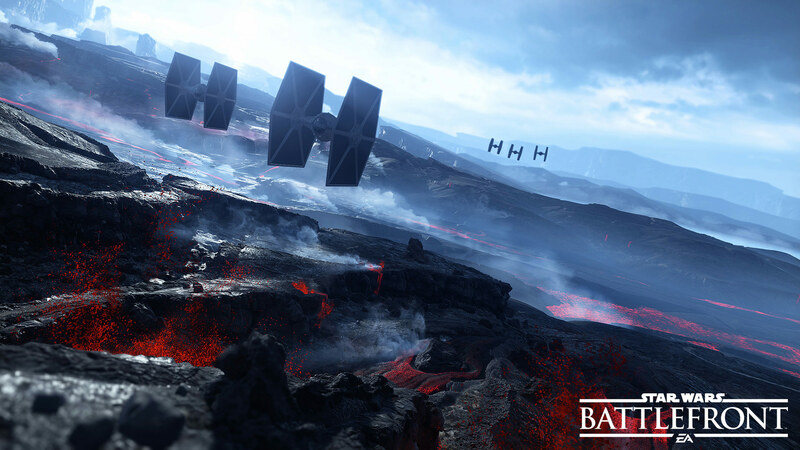 Download it today, challenge yourself with Base Command, and start earning in-game Credits to be fully prepared for the launch of Star Wars Battlefront starting November 17. Let us know what you think of the companion in the forums at StarWarsBattlefront.com. You can get the Star Wars Battlefront Companion app on the Apple App Store™ and Google Play™ store. The Companion is also accessible at StarWarsBattlefront.com.